What’s better than sitting outside (on my vintage glider) on a warm summer day. The birds are chirping, the flowers are blooming, the bees are buzzing, the cocktails are flowing. 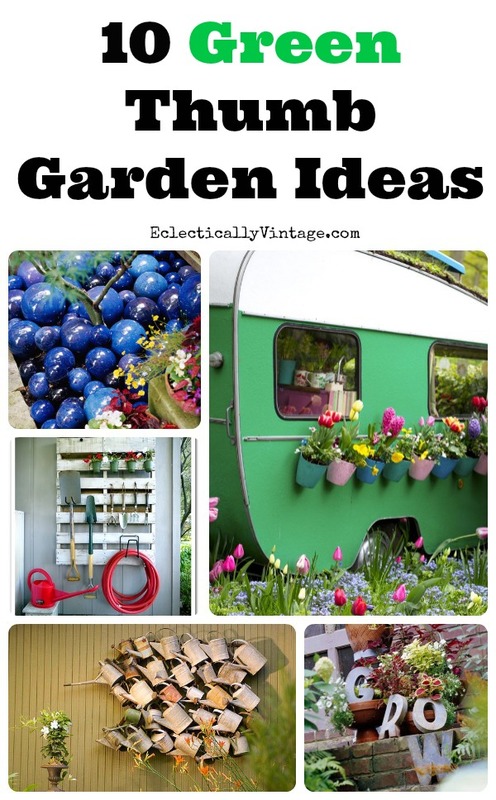 I’m loving these unique garden ideas that anyone can do – whatever color your thumb. 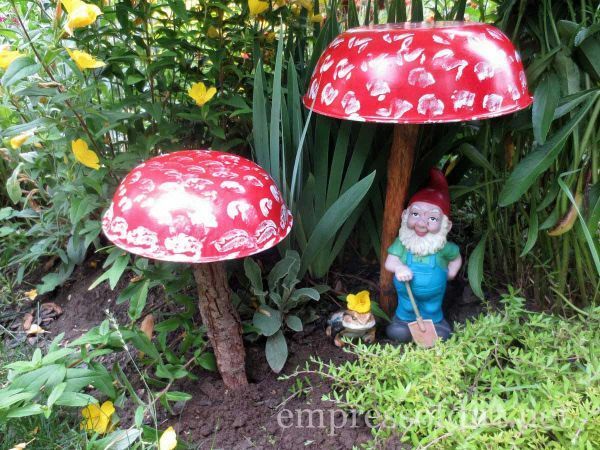 Soon my gnomes will reappear from a long winter slumber and I’ll put them to work in my garden (and have them mix me up a big batch of margaritas). 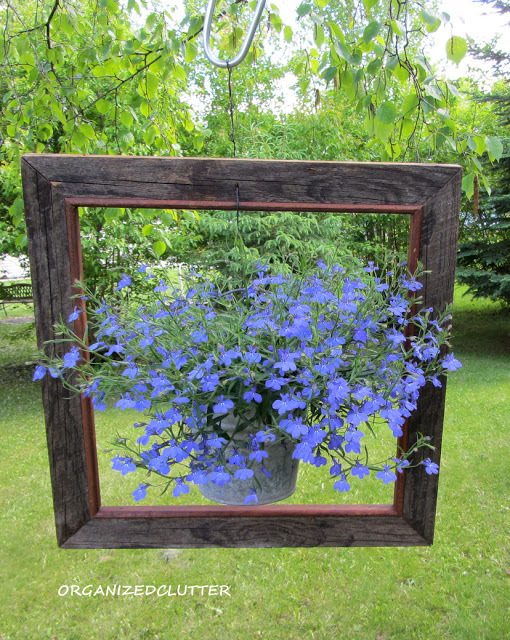 Don’t forget to check out my dresser planter – the perfect way to dress up any plants. 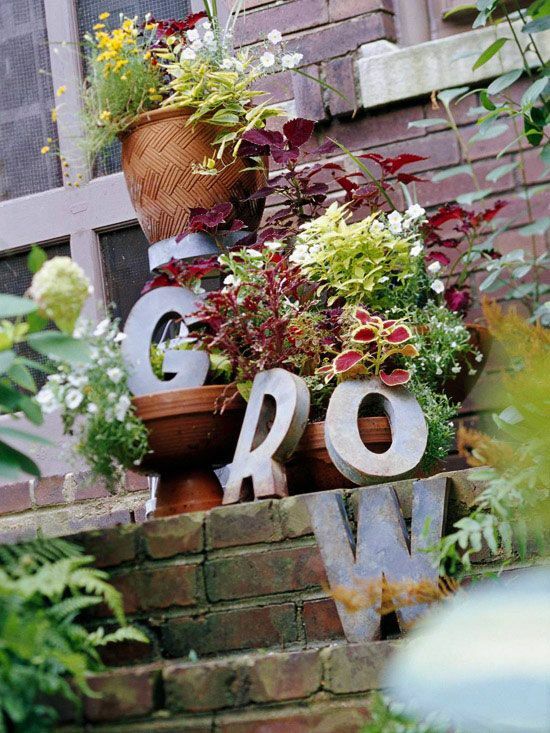 What’s your favorite thing about your garden? 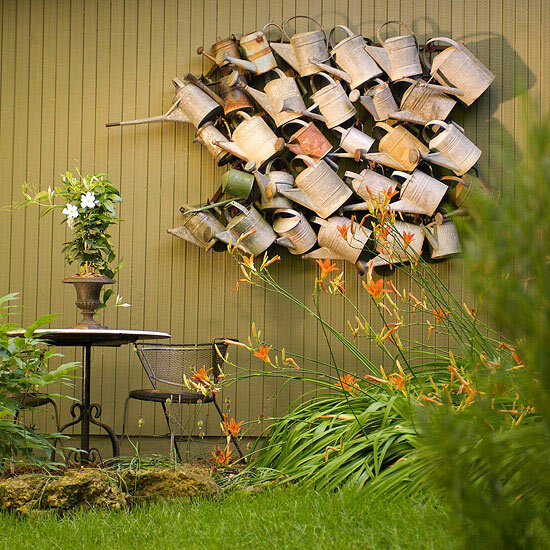 So many awesome ideas, love that watering can wall … and the hanging privacy planters!! these are all so fun! and i laughed at julia’s comment! I feel your pain Bobbi – we rented for a couple of years while we searched for and renovated our home! Happy planing! 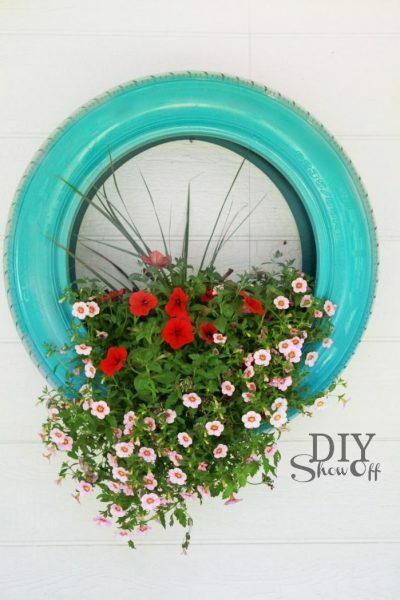 The tire planter is one of my all time favorites. 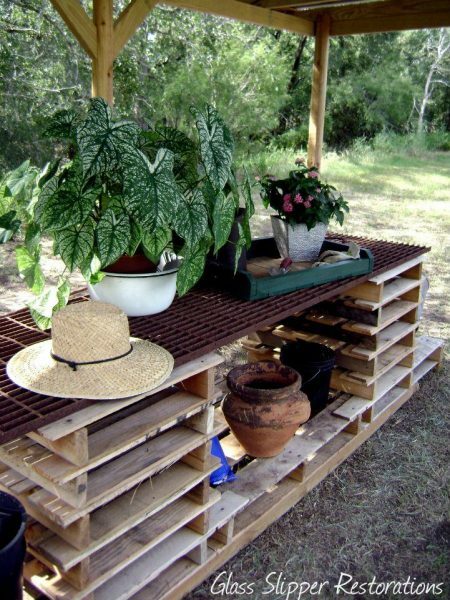 I never tire of it…..
Hi Kelly, thanks for featuring our Pallet Potting Table! Our weather here has been a little crazy, we have been in the mid 80’s one day and freezing last night, high today in the low 60’s. My garden does not know what to do? Some of my onions bolted because of this constant change in temperatures. oh well, I’m sure it will change again soon. Have a great evening! I have been too busy to follow any blogs–what a ridiculous statement, but it’s been true! What a delight to open up your blog and see all the fun, colorful ideas–blue balls and all! Happy spring! It was 19 degrees in Minnesota this morning, but we’re hoping for warmer days ahead!!!! 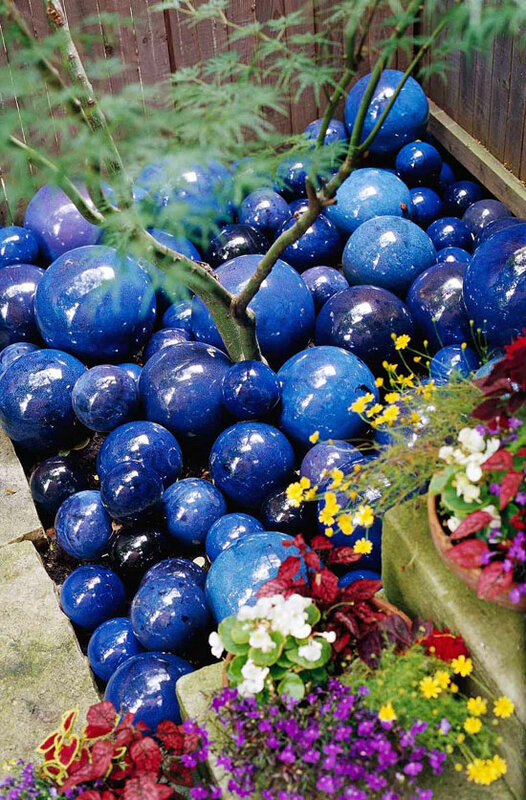 Cool ideas … gotta say, I’m lovin’ the “colorful mulch” with blue balls! I’d love to do that, BUT, my kiddo and his friends would be too tempted to start throwing them! 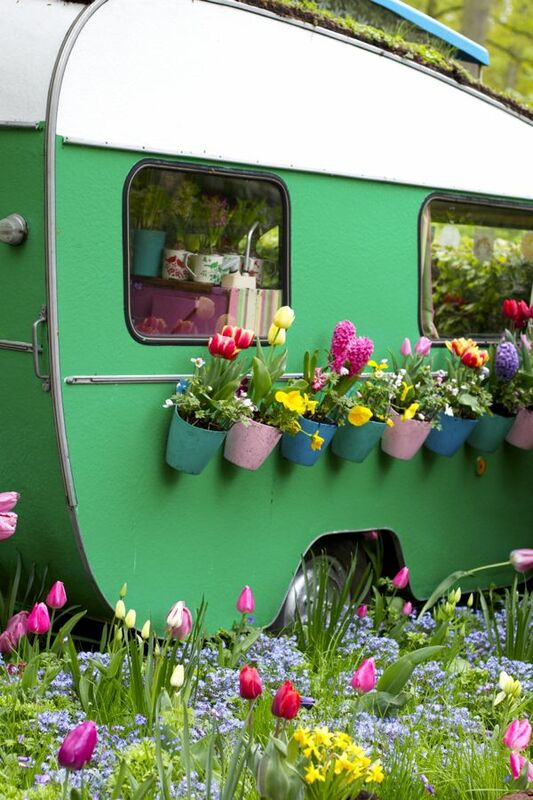 I love the caravan and the flowers in a frame. I’d love to recreate these. Can’t wait to get out in my garden this year and get creative. 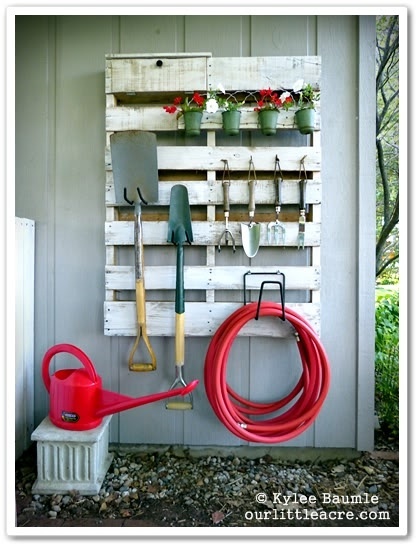 Love these ideas been outside this week and i will be using some of them,thanks. These are wonderful – just the inspiration I’m looking for now that Spring has arrived! 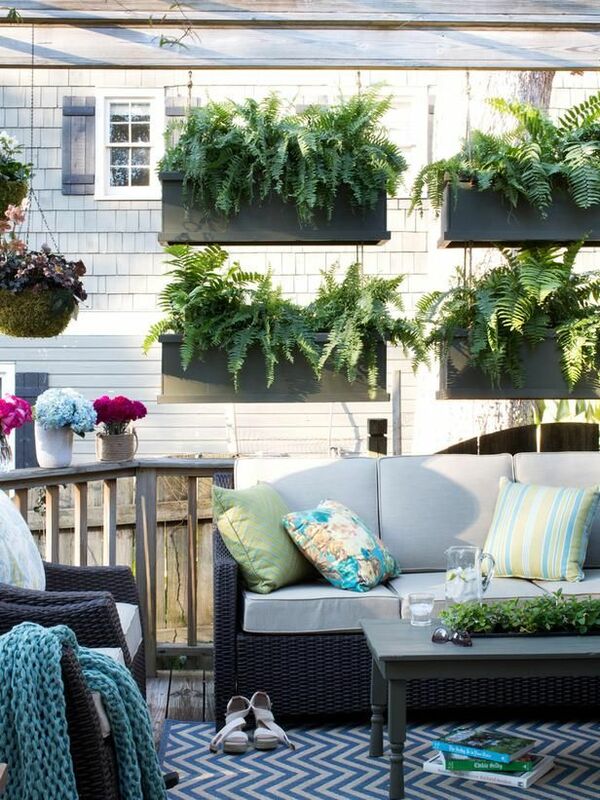 I think I can adapt the camper garden to my apartment patio! Thanks so much for the feature, Kelly! Love all of those fun ideas! Good thing we have a big yard! 🙂 Great inspiration! I want a camper on my roof deck. I’m not joking.